EL PASO, TX – ScottHulse PC attorneys David Hassler and Lauren Serrano will participate in the 48th Annual UTEP Women’s Estate Planning Conference, to be held every Thursday through February 20, 2014. The Estate Planning Conference is designed to provide women with the fundamentals of financial and estate planning. The annual conference is hosted by the UTEP Women’s Auxiliary and the UTEP office of Institutional Advancement Estate Planning. The 2014 conference series is led by prominent business professionals, including attorneys, certified public accountants and financial advisors. During each of the seminars, speakers will cover topics such as legal aspects of estate planning, income taxes, transfer taxes, life insurance, charitable giving, asset protection, administration of estates and trusts, and investments. “Regardless of whether you choose to prepare an estate plan, your assets will be distributed upon death. The question every American must ask is: Will I decide what happens to my children, property, and possessions, or will I leave these types of decisions up to the court system?” said Ms. Serrano, an associate estate planning attorney at Scotthulse PC. As head of the ScottHulse PC estate planning practice group, Mr. Hassler advises high- and mid- net worth individuals and families regarding estate planning, transfer taxation, asset protection and closely held and family business matters, including charitable, deferred and leveraged giving. 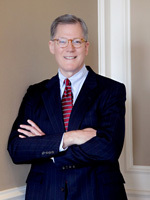 Mr. Hassler is a Fellow of the American College of Trust and Estate Counsel. He serves on the University of Texas at El Paso (UTEP) Development Board. 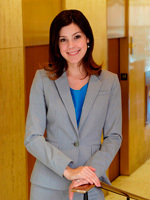 Ms. Serrano’s practice focuses on estate planning, probate, asset protection, and small business matters. An El Paso native, Serrano is a member of the Texas Bar, El Paso Estate Planning Council, the El Paso Bar Association, and the El Paso Probate Association.